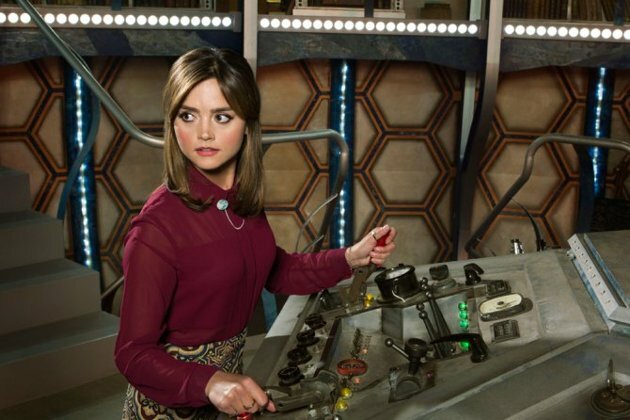 Doctor Who season 8 with Peter Capaldi and Jenna Coleman returns this Saturday. I can’t wait! I will be watching the new season from my couch via BBCAmerica (it’s the only reason I keep paying for digital cable). It’s probably no surprise to you guys that Clara is my favorite companion. 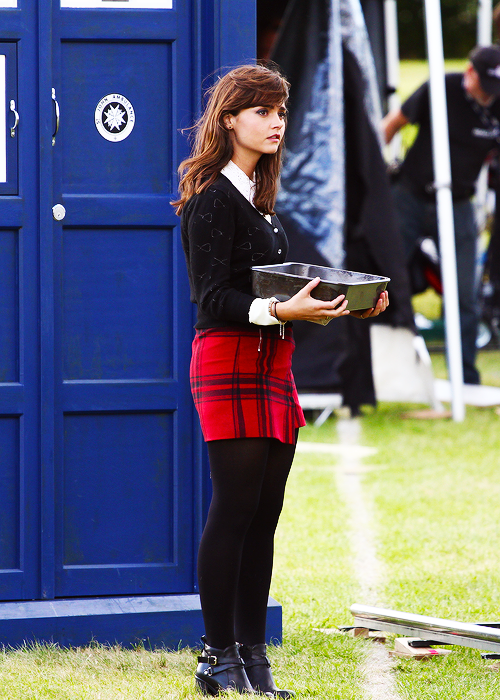 Jenna is my height and size, and I just love her sassy attitude. A friend of mine recently told me I resemble Jenna (bone structure and facial structure); while I don’t believe her, it still made me very happy. 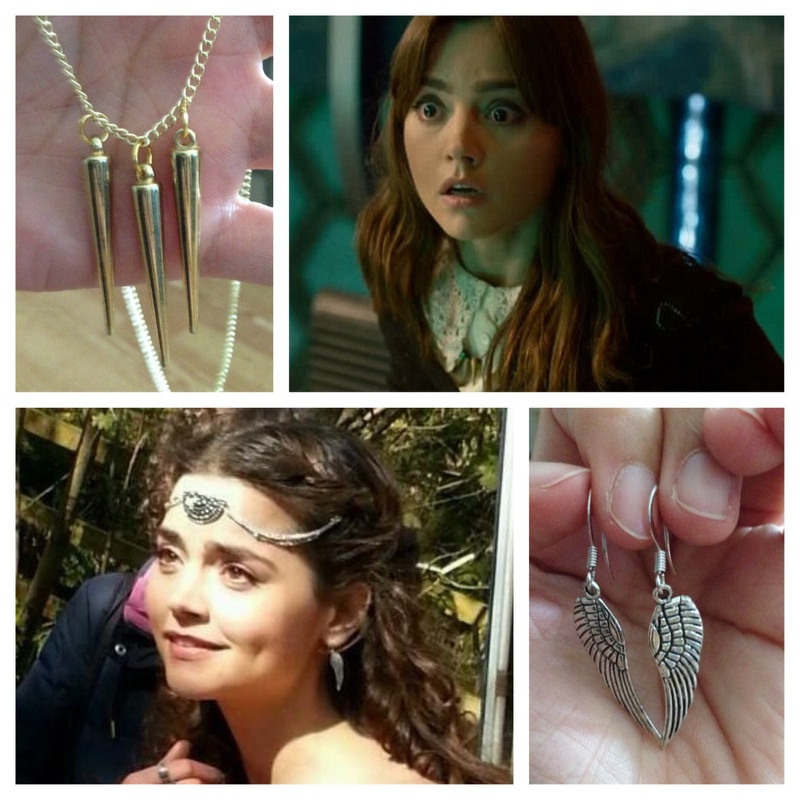 So I started evaluating all my Clara clothing items. I still need a few items to complete some outfits so here’s my inventory so far. 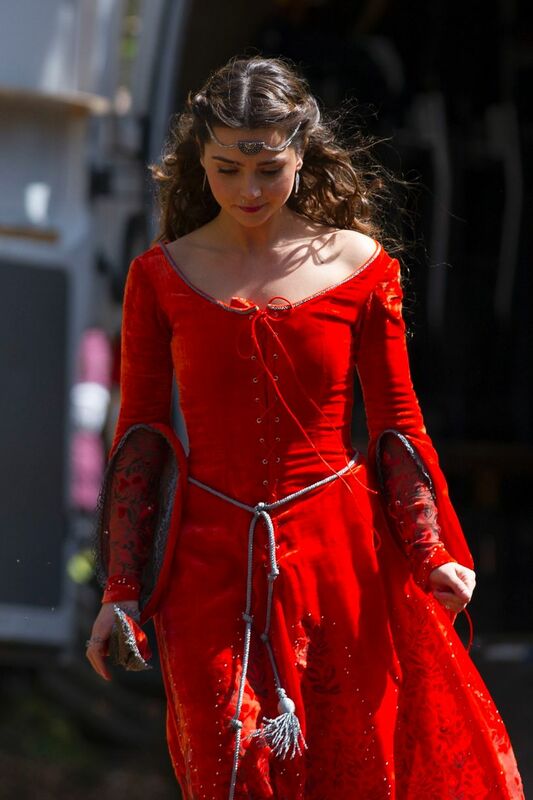 Clara wears two outfits in this episode but I’ve only complete one of them. I made my own version of her red space dye dress (which I wear a lot on a regular basis), and I recently got her screen accurate Sparkle and Fade cardigan from my friend Lauren. I have black tights and black alternative boots from Dirty Laundry. My version of her eagle necklace is silver and from Forever 21. I don’t have her parka but it’s not something I really need. If you’ve been following my blog for a while, you know I made my own version of the JttCotT dress using fabric from Spoonflower (the screen accurate Vaudeville and Burlesque dress is IMPOSSIBLE to get a hold of). 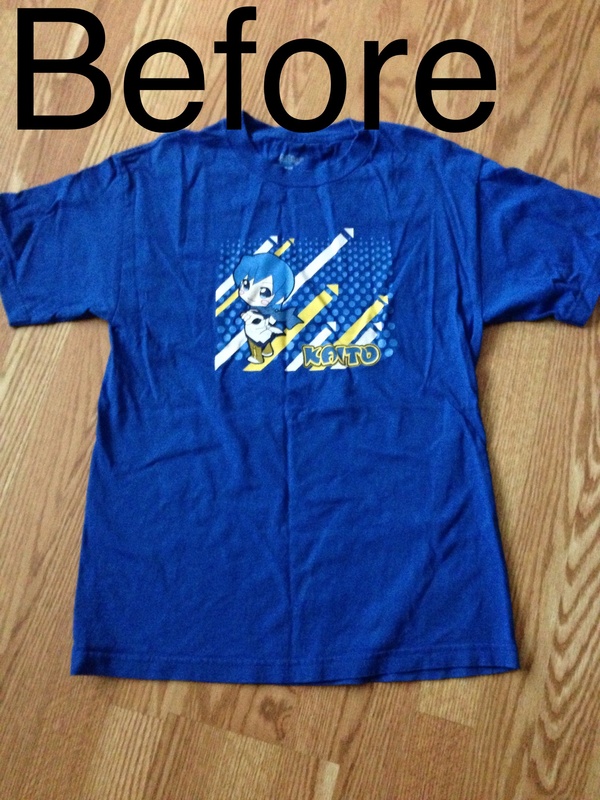 My version is a little more faded in color due to the printing process. I also made my own version of her vintage watch face bracelet using vintage watch faces I got off Etsy. I’m still looking for good alternatives for her Jules taupe biker boots (I actually purchased the Jules boots at one point from All Saints but their shoe sizes run small and I had to return them). Woo hoo, one complete outfit! Again, you may already know that this is perhaps my most screen accurate outfit. I only made the undershirt, but I have the All Saints jacket, Sparkle and Fade carnation skirt, and the F-troupe shoes. I found out later my shoes are actually from the spring line that follows the fall line Clara wears; this means the scalloping around the ankle is a little different. Eh, no big deal since you hardly see her shoes. I also have recently purchased a wig to use for this outfit. I need to find an abandoned house or building to take photos in with this outfit. 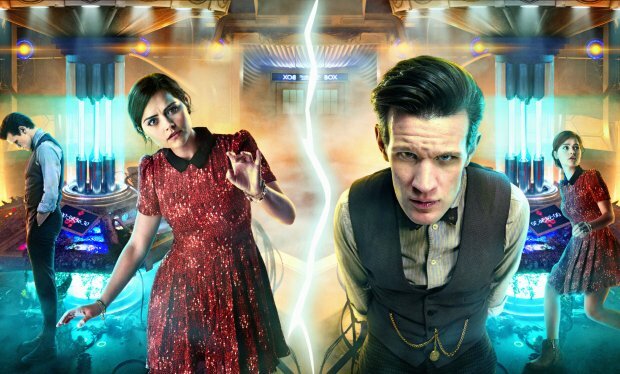 Day of the Doctor is the 50th anniversary special. I have the screen accurate dress, but my jacket is an Old Navy alternative. I have yet to purchase the alternative (almost identical) boots from ShoeFashionista but hope to do it soon. I can no longer get the screen accurate NW3 by Hobbs horseshoe necklace so I will just purchase one off Etsy. Time of the Doctor is the 2013 Christmas special. I have the screen accurate cardigan I purchased from House of Fraser and an alternative shirt from Forever 21. I could not get a hold of the Karen Millen check skirt so I am in the process of looking for an appropriate alternative. I had the change to purchase the boots but couldn’t justify their price; most likely I’ll save myself some money and use the same boots I’ll get for Day of the Doctor. Necklace alternative will be purchased off Etsy. Deep Breath is the first episode that will air for season 8 on Saturday. 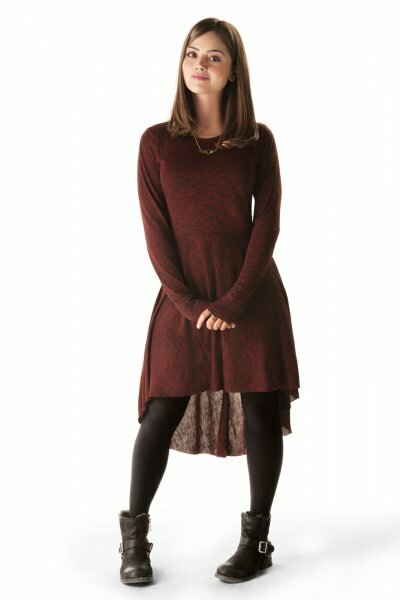 I am not entirely sure if this outfit appears in the episode, but promo photos say it does. The screen accurate skirt was purchased from Nordstrom; I have an alternative blouse on it’s way to me from eBay. The pin will be purchased from eBay (maybe screen accurate, if it’s not it’s a helluva good replica). Not sure what kind of shoes she is wearing so I’ll probably be sporting my F-troupes or Shoe Fashionistas for money sake. The third episode for season 8, Robots of Sherwood sounds interesting. I purchased the screen accurate headpiece from Topshop. Unfortunately mine came with a broken clasp so the chain keeps falling off. I am hoping to find someone who can solder it closed or come up with a way to keep the chain and place and not scratch my head with the open clasp. 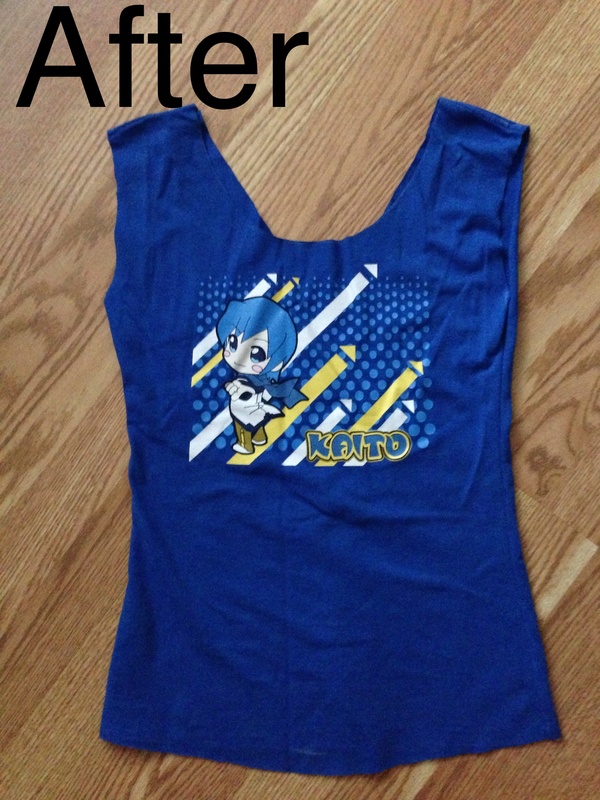 Since the dress was most likely custom made, I am considering making it in the future. I also made my own version of her Cold outfit and would like to make her Hide dress (since that dress is also impossible to get). Perhaps after AWA I will take the Hide dress. There are a few other season 8 outfits I would like to put together but haven’t figure out yet. And that’s my Clara wardrobe! I hope to find the pieces I am missing and purchase the wigs I need so I can start wearing her outfits. Looking forward to cooler weather since most of them are cooler weather clothing.